The CHD-SSH with the financial help of Ameriprise India Private Limited has tried to improve the health status of 50 children of Sunder Nagri. This was done through a project called the Hunger Relief and Challenges project. The direct beneficiaries were Child to Child Education Program children. Breakfast: A glass of milk (200gms) and one boiled egg. Lunch: Dal, salad, vegetable, rice and chapatis. Fruit: A seasonal fruit was given after lunch. This project has shown consistent improvement in the nutritional status of beneficiary children. 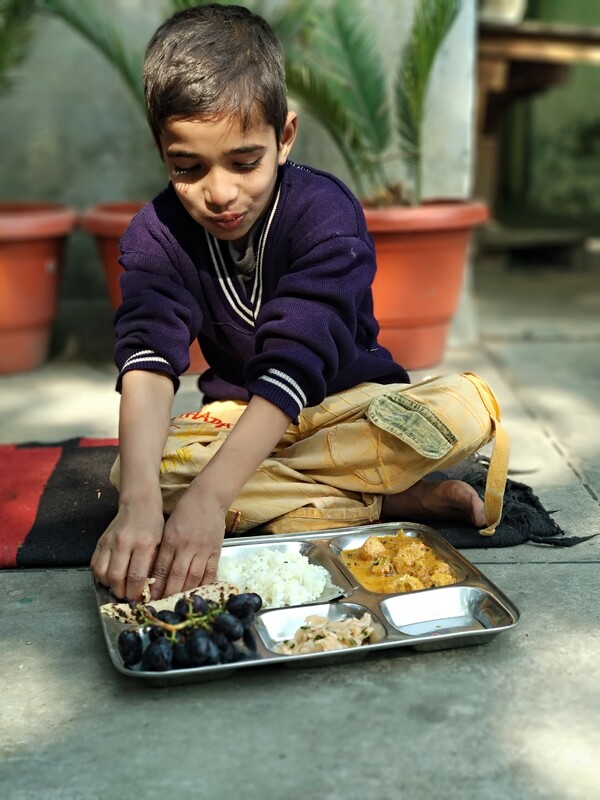 This proves that providing a balanced meal to children even just one time a day, without insisting them to have particular foods in particular amounts can also help in improving their nutritional status immensely. To run a nutrition supplementation project among undernourished and anemic children of Child to Child Education Program (between ages 6-17). To provide nutritious & balanced diet to 50 undernourished and anemic children. Implementing nutrition education programs for families of such children. Monitoring & Evaluation of the project.